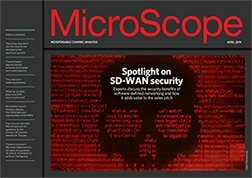 Looking back at the events that have made the news during MicroScope’s 30 years of publication illustrates what an important role the channel plays in the IT industry – past, present, and hopefully in the future – and really brings home how well the channel has adapted to significant changes over the decades. Read on to take your mind back to the days when it all began. MicroScope predicts “an incredible amount of business for the trade” as Acorn and BBC agree discounts on the BBC Micro. Sinclair links up with the Department of Education to ensure 27,000 schools receive Spectrums and ZX printers under the ‘micros in primaries’ scheme. Those pictured in the first ever issue include Adam Osborne and Clive Sinclair. Surviving early advertisers include Northamber, Micro Peripherals promoting Epson, and Microsoft with an ad for MS-DOS. Sirius Technology boss Chuck Peddle brings an end to the rivalry between ACT and DRG over the sale of Sirius and Victor machines by taking control of Victor United. As part of the deal, the Sirius name is dropped. Wordstar publisher MicroPro International outlines ambitious plans for the launch of its UK operation. The British Microcomputers Manufacturers Group calls on the government to impose a 12-month embargo on imports of Japanese and US micros. A raft of IBM clones are unleashed at the 1983 Which Computer? Show. DEC announces its first dealers for the Rainbow PC. HP expands its sales and support effort in the UK with a fleet of vans. ICL launches its own micro machine, claiming IBM has got it wrong by pushing “just another two-disk single-user system”. 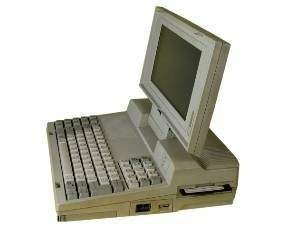 ACT gets set to clone the IBM PCs with ‘project Apricot’, a 16-bit portable micro. Epson’s 23 distributors are upset when the printer vendor says it is going to axe 10 of them. Northamber and Pete and Pam (later to be known as P&P) are among those keeping their contracts. Intel announces plans to develop a co-processor chip to dramatically speed up character generation. Ex-Pepsico boss John Sculley will get a $1m starting bonus and a $1m salary in his role as president of Apple. WH Smith sparks a price war by cutting the price of the Sinclair ZX81 by £10, a week before Sinclair does. Microsoft and Digital Research are racing to produce the first truly multi-tasking 16-bit operating system. Clive Sinclair becomes Sir Clive. Efforts to get Osborne Computers out of Chapter 11 bankruptcy protection are not going well as local subsidiaries prepare to strike out on their own. Apple co-founder Steve Wozniak returns to the fold. WH Smith decides to stock Acorn’s Electron. Commodore cuts hardware prices by an average of 25%. Acorn goes public with a market capitalisation of £135m. Production of ACT’s Apricot PC is running at 50 a day – the vendor claims orders are hitting 600 a day. Commodore and Sinclair are on allocation as the vendors struggle to keep up with pre-Christmas orders. Microsoft launches Windows, which MicroScope describes as “MS DOS version 3 under another name”. Ashton-Tate withdraws its Strategis product from the UK. MicroScope reveals that Apple is targeting the Apricot market with the UK launch of its Macintosh machines. Apricot parent ACT is looking for dealers to join its ComputerWorld franchise. Commodore ‘strong man’ Jack Tramiel resigns as CEO and president. Lotus finishes the successor to its 1-2-3 product. The Department for Trade and Industry is given an assurance by Apple that the US vendor will not try to maintain resale prices. A Texan upstart called Compaq launches in the UK, looking for IBM PC dealers to carry its product and promising a laptop model within months. Amstrad prepares to launch a range starting from £200. Microsoft begins a drive to recruit dealers. Psion announces plans to ship its four business packages – already available on the Sinclair QL – on other platforms. ACT is understood to be planning a voice-driven version of its Rascal PCs. Clive Sinclair announces he has just shipped the two millionth Spectrum. Sadly, research shows the machine also had the highest return rate at a whopping 24.5%. Jack Tramiel resurfaces to take charge of Atari in a $240m deal. Compaq says it will recruit its 100th UK dealer by the end of the month. ComputerLand opens a UK office, under a regional director Frank Lech, to manage its six-strong chain of franchises. Not for the first time, Apple rips up its dealer contracts and introduces new terms and conditions designed to weed out the cowboys. Micropro outlines plans for the launch of its word processing package, Wordstar 2000. MicroScope reports that disks with a “mind-wrenching 1Gb-2Gb of storage” are being displayed at Comdex Las Vegas. Digital Research links up with Intel on its launch of Concurrent DOS 286, which claims to bring a Mac-like environment to the x86 platform. HP unveils a portable Unix computer – it weighs 25lbs. IBM’s dealers are aghast at the vendor’s plans to open its own shops in the UK. Software houses slam John Menzies for making them deal with defunct distributor Tiger after it collapses with debts of £500,000. Steve Jobs is sidelined at Apple in a “major restructuring” following rumours of a falling out with president John Sculley over plans to make Macintosh more open. Psion founder David Potter launches a campaign calling for a levy on imported software to protect the future of the UK IT industry. Microsoft announces it has finished Windows, while Digital Research ups the ante by launching two further operating systems. Acorn reschedules its debts in a deal that gives Olivetti 80% of the business. Ashton-Tate acquires Multimate for $19m in the biggest takeover in micro software history. HP launches one of the industry’s longest-standing brands when it unveils its Vectra range of AT-compatible PCs. Specialist Computer Centres makes its first foray into the retail market with the acquisition of the Byte chain from Kode for £875,000. “No one can ever use the brand name Sinclair again, including Sir Clive” – Alan Sugar’s comment following Amstrad’s purchase of the Sinclair operation for £5m. US retail specialist Sears World Trade places an order for 10,000 Amstrad PCW8256s. Commodore condemns rumours it is set to go bankrupt as “completely ill-founded”. Atari announces plans to take on Amstrad’s PCW8256. IBM places more emphasis on third-party channels for PC sales. Digital reveals it is about to “swallow its pride” and clone IBM PCs. The legality of franchise dealer networks comes under a cloud as the European Court of Justice decides the contracts involve breaking competition guidelines. Epson announces plans to stop selling printers and PCs direct to dealers and use distributors instead. Baring Brothers is reported to be looking for a buyer for WH Smith’s two Business Computer Centres. Compaq is tipped to be the first vendor to ship a 386-based machine. Microsoft launches MS-DOS4, its last OS compatible with the 8088 and 8086 processors. IBM dealers unleash a terrifying weapon in the battle against Amstrad’s 1512 – they claim the machine will melt if Token Ring network cards are installed. Alan Sugar dismisses the claims. Romtec figures show the UK PC market expanded by 20% in 1986, largely fuelled by the Amstrad market. PC Direct changes its name after deciding to stop selling direct. Tandon boss Jamie Minotto encourages dealers to sell rival machines after the vendor is unable to whistle up sufficient stocks. Romtec reports that 100 dealers either collapsed or left the PC market in the last quarter of 1986. 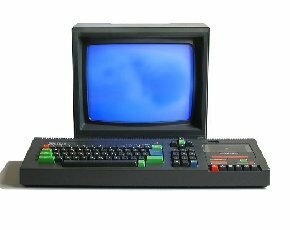 It is revealed that Amstrad spent more than £3.1m advertising its PCW8265 machine in 1986. Apricot drops 300 small resellers. IBM tries to squeeze cloners out of the market with its latest range of boxes, which include its proprietary Micro Channel Architecture. Microsoft targets Lotus 1-2-3 with plans to port the Mac-based Excel spreadsheets to the PC. Toshiba stops shipment of its PC compatible to the US in the wake of 10% tariffs. IBM shareholders vote overwhelmingly to continue selling into South Africa. Microsoft is on the brink of shipping OS/2, two months ahead of schedule. ICL announces plans to get into the PC market and Dell reveals plans to make its UK debut at the PC User Show. Amstrad buys its US distributor, Vidco, for £7.5m. Bill Gates predicts between 80% and 90% of PC systems will run OS/2 by 1990. Microsoft releases Windows 386. Bill Gates says it is “trying to build a foundation for the applications for the next seven to eight years and we’re doing it on two levels – with DOS and OS/2”. Digital Research announces plans to launch a rival to Windows, but insists it is “top secret”. Dealers suspect IBM is trying to reduce its System Centre tier by imposing tougher accreditation criteria. The Black Monday stock market crash scuppers Psion and First Software’s plans to go public. Steve Jobs announces that his new company, NeXT, will begin shipping workstations in 1988. Apple and Digital announce negotiations to make the Macintosh the front end of the mini vendor’s big iron. John Sculley describes the outcome as “one of the strongest alliances yet in the computer industry”. IBM chairman John Akers announces plans to split the company into five separate systems and technology businesses in a bid to halt an ongoing slide in profits. Computacenter raises £12m to fund future growth. Worldwide shortages of DRAM force price rises. Apple sues Hewlett-Packard and Microsoft for allegedly infringing the “look and feel” of the Macintosh environment. Sun announces plans to launch a range of 386-based machines in the UK. Epson protests against European Commission tariffs of 33% on imported dot matrix printers. The Japanese vendor denies there is any need for the EC to protect the indigenous printer industry. P&P establishes a Mac distribution subsidiary, Principal. A research company predicts 386s will account for half of all PC sales by 1993. IBM’s market share has slipped from 40% of UK sales to less than 30% in 1987. Context predicts the UK PC market is set to top £1bn for 1988. Distributor First Software metamorphoses into Frontline Distribution. An internal Apple memo claims the latest generation of Motorola 68000 chips call for a rethink of its OS development strategy. IBM ditches its no-redundancy policy and announces staff cuts after failing to halt its earnings decline. IBM announces it is dropping seven distributors and relegating them to dealer Ts&Cs. Apparently busy suing anything that moved for ripping off 1-2-3, Lotus is hit with a class action suit for delays in releasing version three of its spreadsheet. France-based Metrologie kicks off the new year with the purchase of several companies, including Rapid Recall. It claims the acquisitions make it the biggest distributor in Europe. Computacenter claims to be the UK’s biggest dealer. Apple is being sued by the Beatles over the use of its name and logo on musical equipment. Intel makes its first venture into Risc with the i860, a co-processor designed for use with the 386 or 486. Metrologie announces it is setting up a UK subsidiary of its TopLog operation. The UK’s biggest ComputerLand franchise, Iain MacDonald’s ComputerGroup, is sucked into Canada-based SHL Systemhouse in a £11.3m deal. Tottenham Court Road dealer Gultronics is considering an appeal against the Office of Fair Trading after being found to have treated customer complaints with contempt. Amstrad is forced to overhaul its entire PC2000 range because of a series of hard disk drive problems. P&P confounds speculation it is pulling out of distribution by forming a dedicated wholesale unit. Rapid Recall pulls out of HP distribution. The colour portables market kicks off in earnest as Hitachi and NEC release the first "commercially available” notebooks, which are expected to have a starting price of around £1,200. Reseller MBS admits the chancellor’s decision to raise interest rates to 15% will have an effect on the channel – others claim it will make little difference. Softsel announces a merger with fellow US distribution giant MicroAmerica, creating a wholesaler with worldwide sales of more than $1bn. Sage floats on a jittery stock market and achieves a valuation of £21.1m. This trip down memory lane will continue next week, when we will look back at what made the channel news during the 1990s.